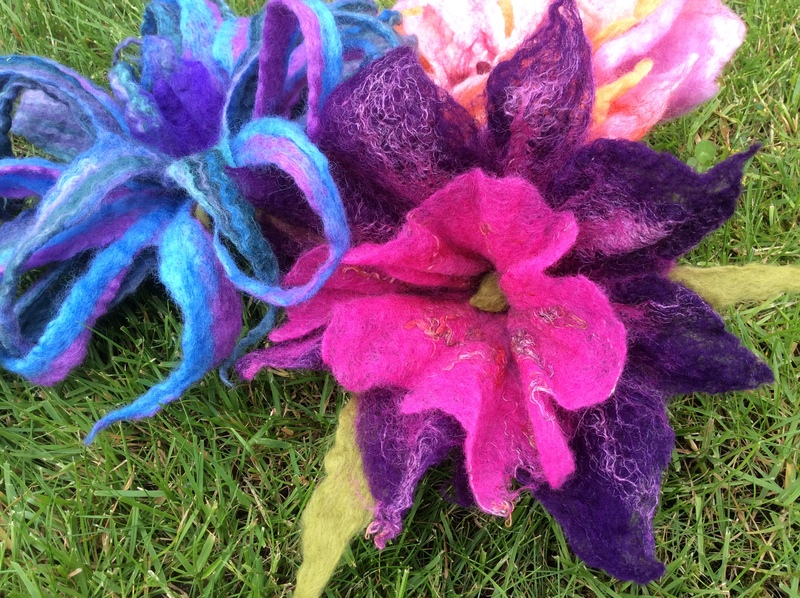 Ive been using up my bright Merino wool tops making wet felted flowers to add to the CCTG display at Cranwell next month. 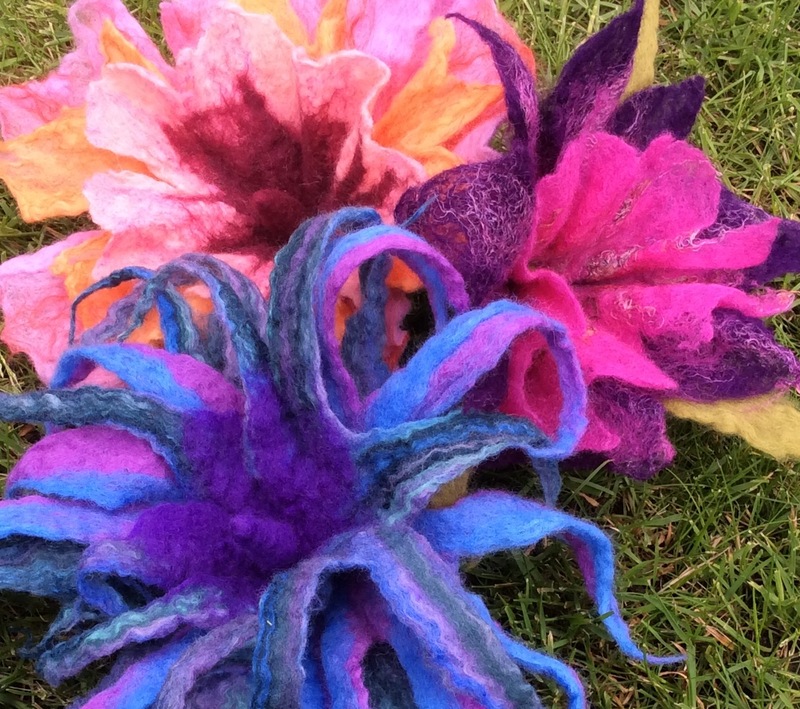 ← Felting Demo for U3A members….. The flowers are fab! Great bright cheery colors to draw attention to your table! Thanks Marilyn, the colour rush didn’t last long…..I’m back to working in shades of grey again today! Those are gorgeous. What a lovely table display! Thanks Ruth, they should add a splash of colour!